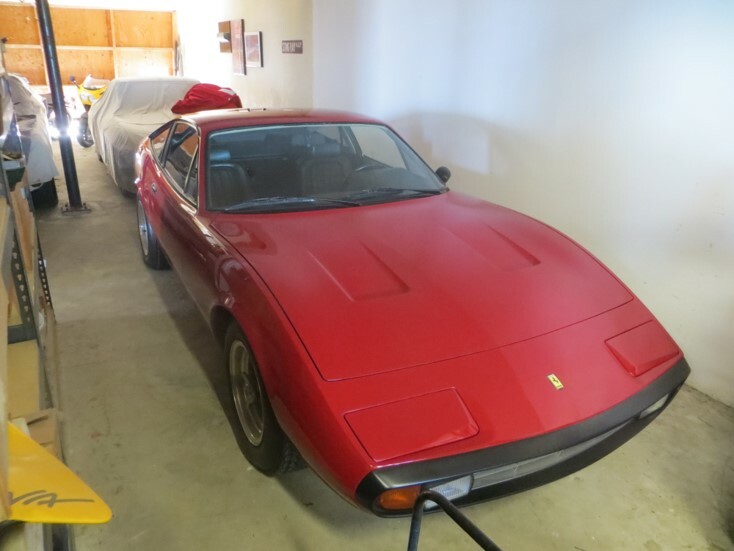 After being cared for in our collection since 2002 this Ferrari 365 GTC/4 is For Sale. Please inquire. 340 hp, 4,390 cc DOHC V-12 engine with six Weber carburetors, five-speed manual transmission, front and rear independent suspension with double wishbones, coil springs, anti-roll bar, and telescopic dampers, and four-wheel disc brakes with power assist. Wheelbase: 98.4 in. First shown at the 1971 Geneva Motor Show, the 365 GTC/4 was a grand touring car in the classic Ferrari tradition. Pininfarina created a two-seater coupe with two occasional seats in the rear. Enveloped in a sinuous and streamlined shape, it was clearly developed in the stylist’s new wind tunnel, which came into operation at the time the car was being developed. Rear seats fold down in the interest of additional storage. Most notable about the exterior styling was the radiator grille, which was encircled by a broad ring that doubled as a bumper placed at the extremity of the car’s long and tapered nose. Within the nose were the hidden headlights, and on the hood, two rectangular air intakes were added to aid in the cooling of the hand-built, 340-horsepower, 4.4-liter V-12 engine. Despite being the same engine capacity as its Daytona predecessor, the engine was an entirely different unit, designed to accommodate the dramatically lower hood line. A new cylinder head was employed, which put the intake manifolds between the inlet and exhaust camshafts on each bank, and the six Weber carburetors were now side-drafts. Wet-sump lubrication was used, as opposed to the dry-sump method used on the Daytona. Power steering and brakes, along with a hydro-pneumatic self-leveling device on the rear suspension, were also included.